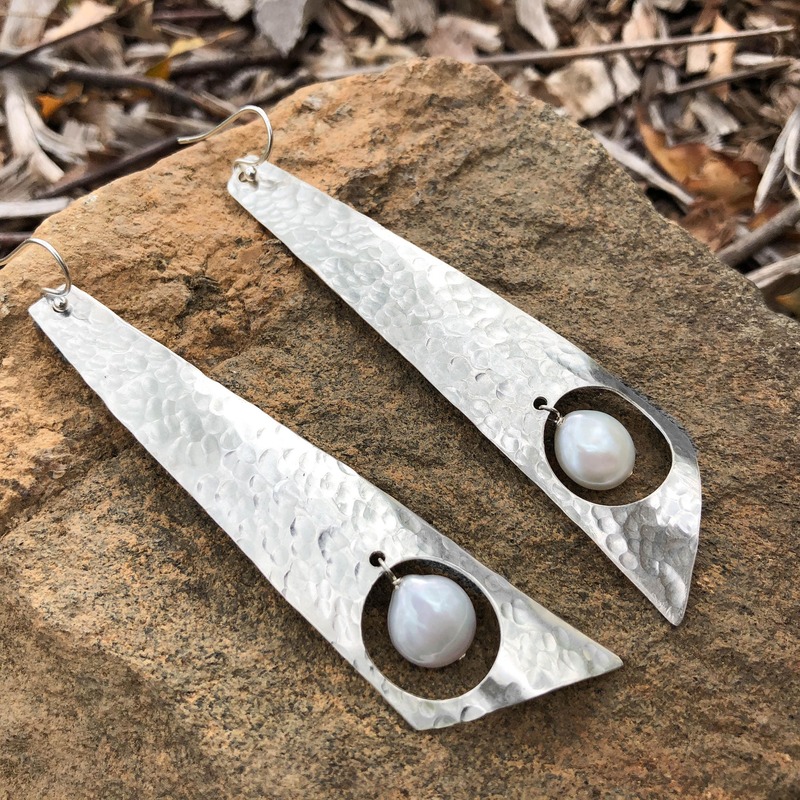 * Total length including the ear wire is 3.5" long and they measure just under an inch across at the widest point. 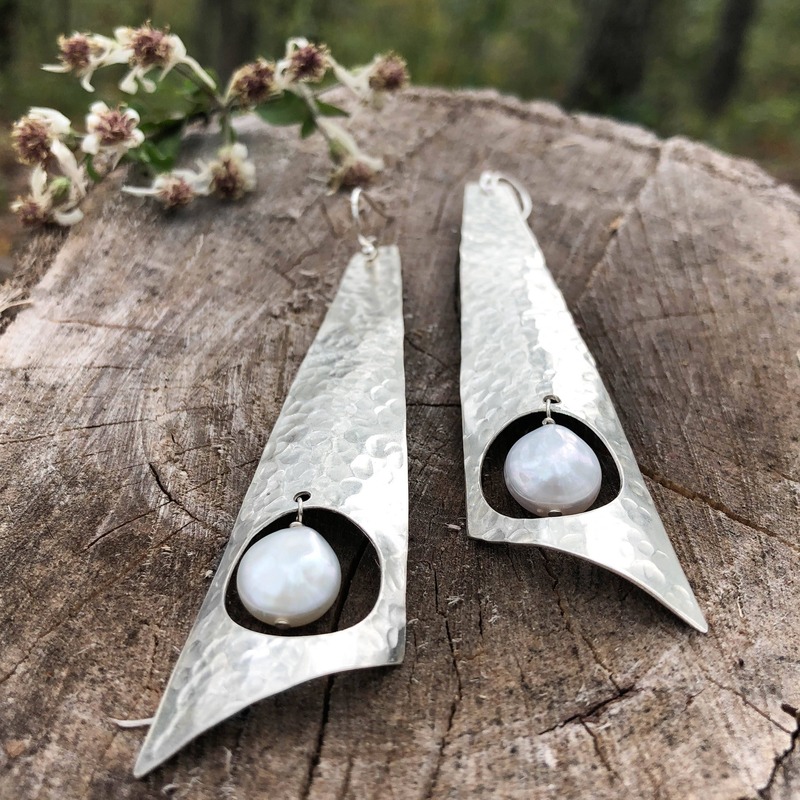 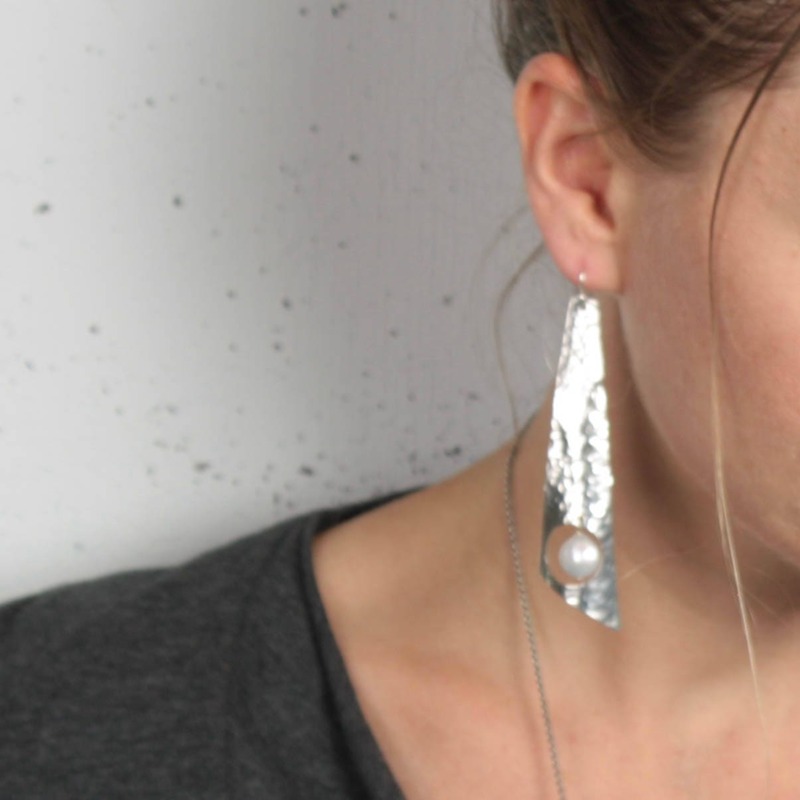 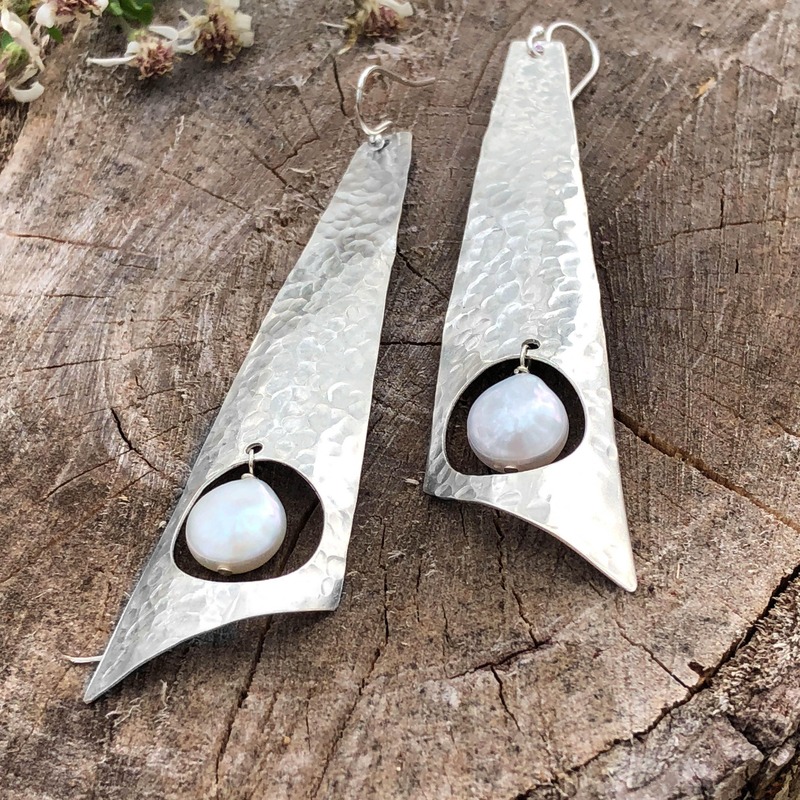 These modern statement earrings are handmade with solid sterling silver and freshwater coin pearls. 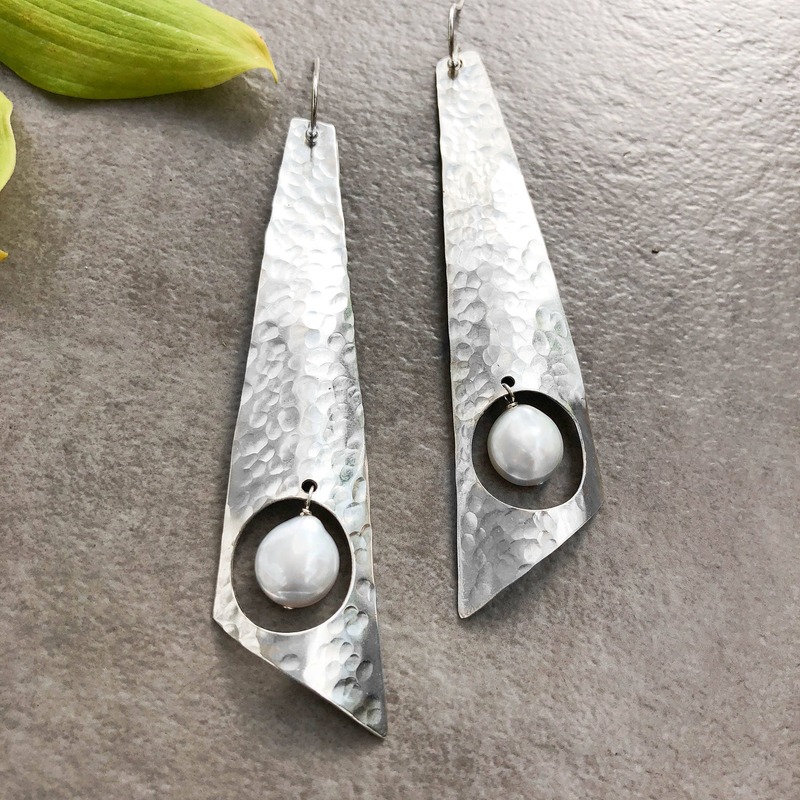 Every detail from the gently curve in the silver, the hammer texture and overall polish were made to reflect the light perfectly and offer a bold earring that is also lightweight and comfortable to wear. 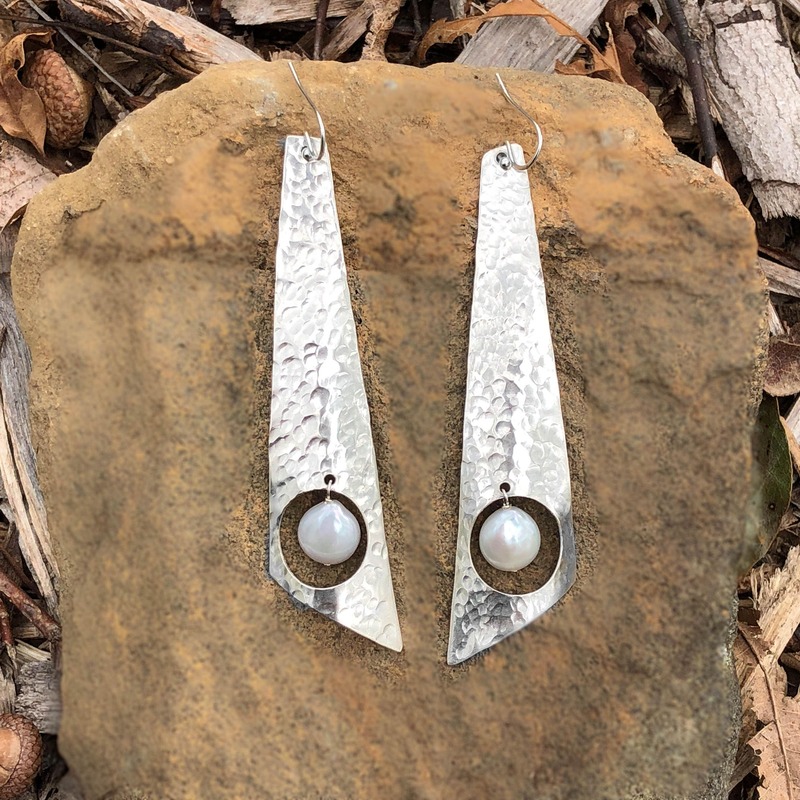 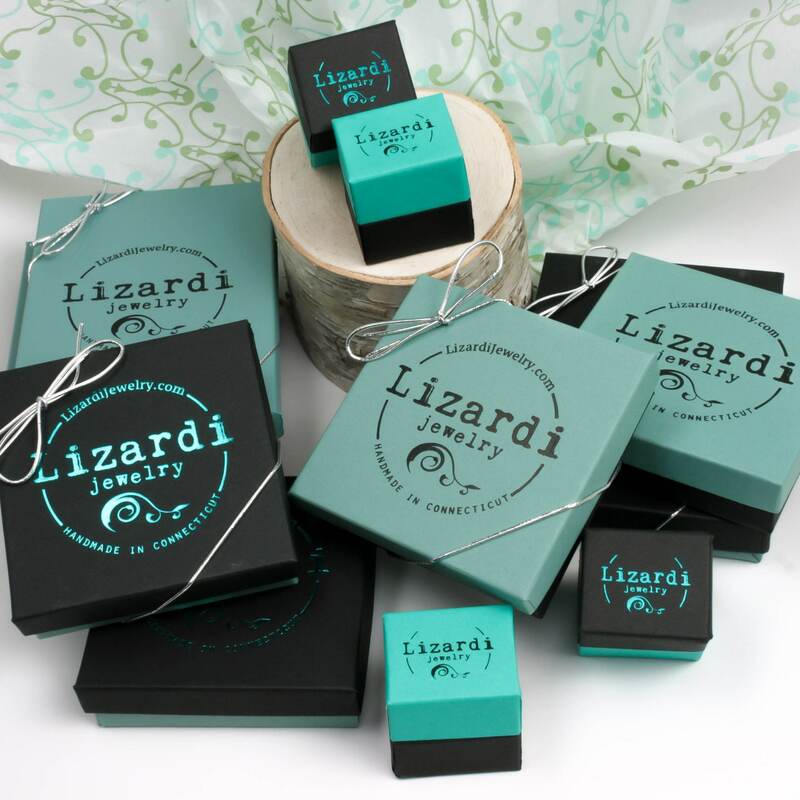 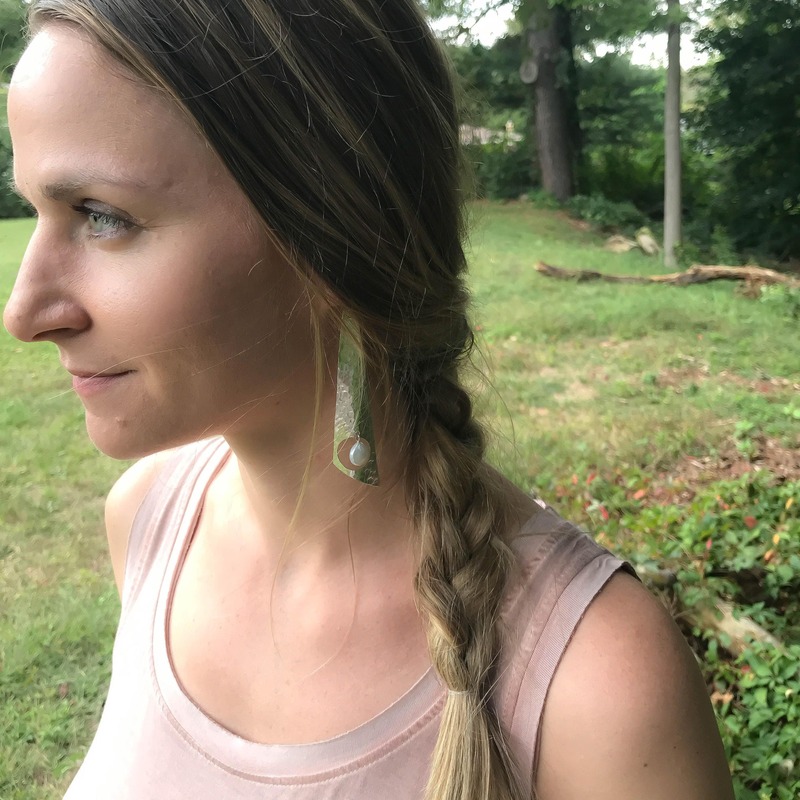 These drop 3.5" long including the ear wire so they are sure to make a statement!